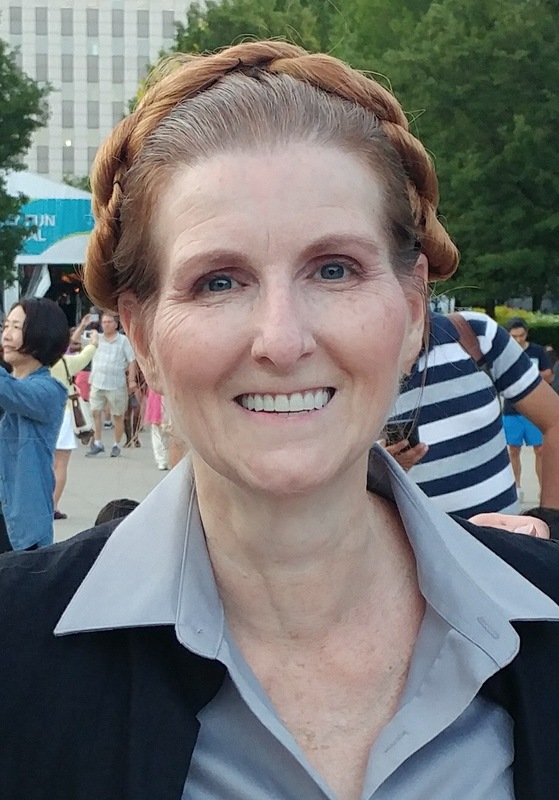 Today, it is my pleasure to interview fellow fangirl, Andrea Lynn Fleming, who is an actress in Chicago, and has been involved in theater for almost 30 years. She is actively cosplaying in the Chicago area for local charity events and hopes to continue for years to come! I first became aware of Andrea through the Star Wars fan community and been very impressed with her Cosplay, especially her General Leia! Welcome Andrea to The Adventures of The Everyday Fangirl and thank you for taking the time to answer these questions about being a Fangirl. When do you realize you were a Fangirl? The first time I realized I was a fangirl was back in 1977 when I first saw the Star Wars movie. I didn’t know at the time that was what it was called, but I didn’t care. I loved the movie and everything about it. Social media has been wonderful. It has helped me meet other women and girls just like me. I used to think that I was alone in my fandom, but after my daughter and her friends realized how much of a fangirl I was, they have helped me get on social media and express myself openly. It’s such a joy to see how many of us are out there! The first time I saw Star Wars was when I was 11 in 1977. My father took me to see it in the theater for my birthday that year. I instantly loved the movie and I have been a super fan ever since. I was on the Oprah show in 1997 for the special edition films that were released that year. I was the only one in the audience that day dressed in costume. What an honor that was. It has been amazing to be a part of the Star Wars community. Everyone is so supportive of others and you’re not afraid to be yourself. I was ridiculed in the 80’s for my fandom, and really found myself keeping it to myself, until social media, and now I no longer need to be secretive about it. I can openly express how much I love this community and franchise. I enjoy being able to cosplay anytime the opportunity presents itself. I also enjoy Star Trek, the Marvel Universe, but of course my first love is Star Wars. Never be afraid of being who you are and what you like! Always enjoy your favorite things to your fullest ability. It doesn’t matter what others think. What matters most is what makes you happy. In the end, you will be the one others look up to. I know that’s what I discovered about myself, and it’s amazing watching my daughter and her friends fangirl without any worries of what others think. I know I dream of being in one of these movies myself some day. Where can others find and inteact with you? I am on Instagram at Lynnflemingact, and you can find me also on Twitter: @LynnFlemingACT. Thanks again Andrea dor letting us get to know you better! Thank you and May the Force Be With You!